We are in love with these set of images from ‘The Goddess Of Lust’ captured by Danny Cardozo, with the beautiful Patricija Zilinskaite channeling her inner goddess for the glamorous editorial shoot. 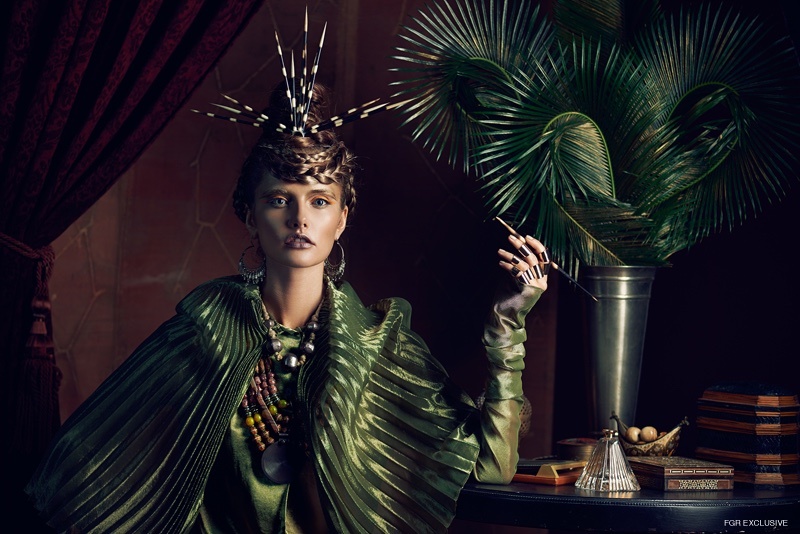 The model poses in outstanding opulent pieces styled by Danny Santiago featuring statement pieces, bangles and necklaces. Danny used labels including Elie Saab Dior, and Missoni with set design by Rage. Makeup artist Hector Simancas gives Patricija an amazing glow and hair stylist Mark Williamson creates some elegant updos and braids making her look like a goddess.